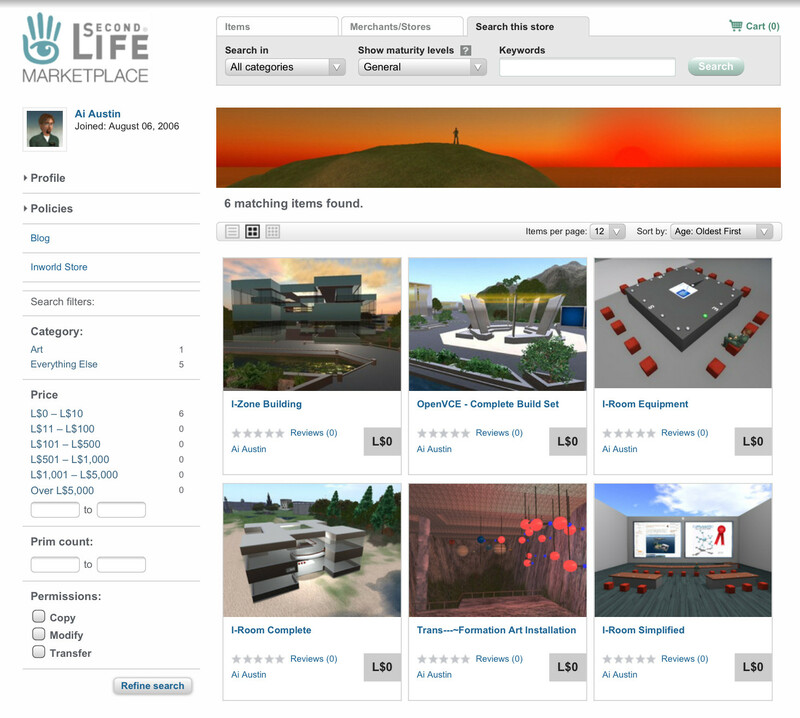 This makes the items more easily and reliably available to anyone without going to specific locations in Second Life, which over the years might change. I added some information, sample images, and YouTube video links to the main items too. I also took the opportunity to add in the assets and media details for the virtual worlds art work “Trans—~Formation” created in 2007 by Richard Brown, Julian Wagstaff, Austin Tate and Second Life avatar Ai Austin. This entry was posted in OpenVCE, Second Life, Virtual World and tagged OpenVCE, Second Life. Bookmark the permalink.